This article popped up in some feed of mine in the past week, and it’s a quick, fascinating take on the octopus as our best on-earth example of an alien intelligence. It’s a fast read, and makes a compelling case for why octopi, from whom we diverged a long time ago, display signs of consciousness and (thus) are good alien analogs. Pretty neat both from the “Hey, octopi are cool” perspective and if you’re an SF author interested in writing plausible alien intelligence. The article by Olivia Goldhill is here. Things have changed quite a bit in the last decade and especially the last five years in scientific publishing. Starting with open access efforts (notably the PLOS journals, which launched when I was in grad school and have driven a revolution in publishing) and continuing in venues like Retraction Watch and PubPeer, the move toward making science open, clear, honest, and above all accurate is powerful and completely unlike when I started doing research. 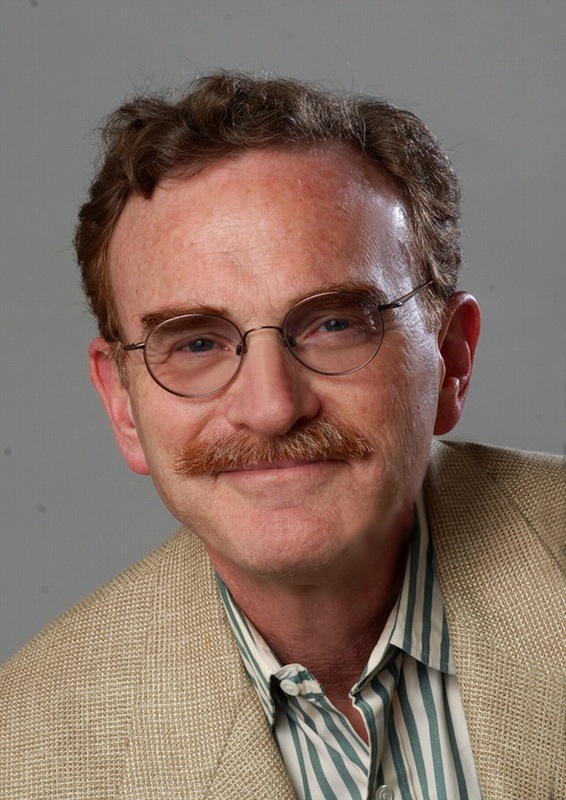 Retraction Watch put up a guest post today by Drummond Rennie and C.K. Gunsalus titled If you think it’s rude to ask to look at your co-author’s data, you’re not doing science. In it they talk about how a couple recent and slightly less recent high-profile scientific frauds have broken down, and the failure of senior authors to actually do their part to validate the data and really know what’s going on. They also provide a truly helpful breakdown of approaches to make sure everyone knows what work is being done, that the work is actually being done (and funded, and so forth), and that everyone is credited properly. If you’re doing, well, science, or any kind of collaboration at all, I recommend this genuinely helpful piece. We celebrated the end of 2013 with the release of our new paper, Rapid identification of sequences for orphan enzymes to power accurate protein annotation in PLOS ONE. So what’s the big deal? What are orphan enzymes and why do we need to identify them? …to predicting that this protein is probably an “HMG-CoA Reductase,” an enzyme that carries out a key step in cholesterol synthesis. We can also get more specific, tying part of this sequence information to the specific activity of the protein. In the case of my example enzyme, the “business end” is the second half of the protein. This kind of sequence data powers so much of what we do in modern biology, from guessing what individual proteins do all the way to generating entire metabolic models and then predicting literally every food source a microbe can grow on. Hundreds upon hundreds, in fact. For a lot of critical enzymes. As part of our Orphan Enzymes Project, we’ve tried to figure out how we can find sequences for these hundreds of enzymes. After all, each enzyme represents hundreds of thousands of dollars in lost research…and each enzyme sequence we don’t have undercuts the value of all of our fantastic sequence-based tools. Our new paper describes a few case studies on how we can identify orphan enzymes in the lab and just how big an impact identifying sequence for each orphan enzyme has. We found several cases where we were actually able to buy samples of enzymes that had never been sequenced. We were also able to collaborate with Charles Waechter and Jeffrey Rush of the University of Kentucky to find sequence data for an enzyme they’d been working hard to characterize. The key point of this part of our work is that many enzymes that are “tricky” for one set of researchers to sequence may be entirely doable for another group that specializes in sequencing. The more we collaborate, the more value we get out of all of our work. In other words, for all those guesses that have been made about what proteins do, for how many is our enzyme the best guess based on closeness of its sequence to the one we found. It turns out that each enzyme sequence we identified led to anywhere from 130 to 430 proteins getting new, better guesses about their functions. That’s hundreds of potential incorrect predictions or misled researchers averted by just “finishing the job” of sequencing a handful of enzymes. Given the tremendous amount of work that has gone into characterizing each of these enzymes, it’s essential that we take every opportunity to apply modern sequencing expertise to existing samples. 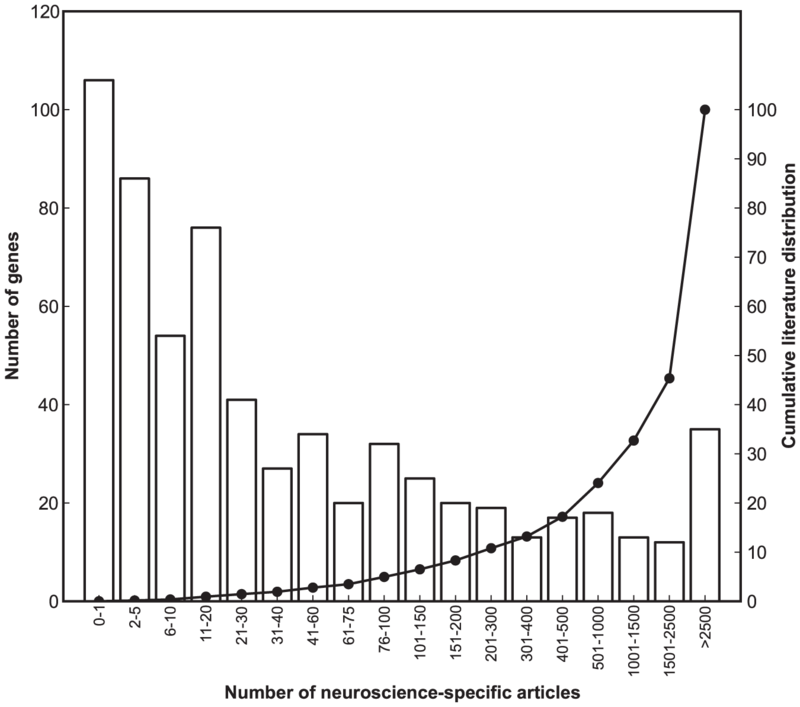 Comments on the paper are welcome, whether here or on the paper itself at PLOS ONE. 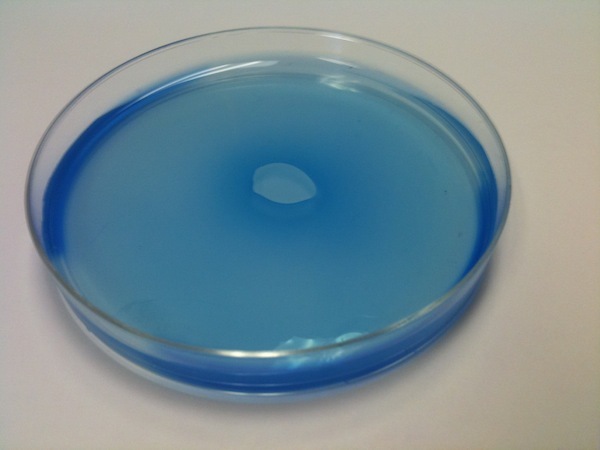 A lawn of E. coli stained with Coomassie Brilliant Blue dye. Last year I found myself needing to visualize growth of a relatively thin lawn of E. coli on imperfectly translucent minimal medium plates. It was part of testing growth based on our predictions in the recently published Computing minimal nutrient sets from metabolic networks via linear constraint solving (I’ll have a separate post about that soon). Trying to get the lawns to stand out via backlighting or dark backgrounds didn’t do the trick, but staining the cells finally gave me the lovely picture you see above. The protocol I used came from this page at the Center for Polymer Studies at Boston University. 1) Pour the staining solution onto the plate so that it just covers the surface of the agar. 2) Let stand for 45 seconds. 3) Pour off the solution. 4) Pour on the rinse solution. 5) Swirl it for 10 seconds, then let stands for another 50 seconds. 6) Pour off the rinse solution. It’s easy, and the resulting plates are quite pretty. Quite a bit of the work in our group is about cutting the scut work out of experimental biology. My colleagues typically say that we’re “accelerating” research, but I usually couch it in terms of “cutting waste.” They’re two sides of the same coin, but I think it makes a lot more sense to consider bioinformatics tools in terms of how they impact the time and effort we spend doing things that we don’t want to be doing. Consider the example of owning a car. What does that car do for you? Sure, it accelerates your day – after all, you’re going everywhere faster than you would have without it. But the real tragedy happens when your car breaks down. Suddenly, that 20 minute drive to work is 40 minutes on a bus or a laughably impossible day hike. In other words, it’s about the cost that you’re cutting out by using the tool – in this case, the car. Genome sequencing is ridiculously fast. Just in terms of pure sequencing power, it takes maybe 1% of a single run from a state-of-the-art sequencing setup to plow through a bacterial genome. That’s not to say that sequencing a new genome is trivial – it’s not. But the chemistry and machinery behind sequencing have both advanced so far that the simple ability to churn through genomes is no longer the bottleneck. Then things slow down a bit. The first slowdown comes during the assembly and error checking steps…which I thankfully never, ever touch. I have a passing familiarity with the problems that pop up during assembly. For example, read lengths are a major issue. The “read length” is how long a continuous stretch of genome sequence you get in one go. As you can imagine, you’d like read lengths to be long, since that means you have more ability to stitch together a finished genome by overlapping the pieces you’ve sequenced (since, you know, they’re more likely to overlap if they’re longer). Fortunately, that’s not my complication to deal with. Once we get out of the genome assembly woods, then we have the annotation step…which I’m also not going to talk about here, but which a lot of our work does directly support. Annotation is the slow, messy, and often inaccurate process by which we guess what the genes in our newly sequenced organism actually do. The quality of a genome’s annotation still relates pretty directly to the amount of hands-on human time put into it. There are a bunch of solid predictive tools that try to fill in the gaps, but there’s still a tremendous amount of room for error. Right now, we’re stuck with the choice between “good” and “fast,” and that means that annotation is, at best, a walking step. One of our group’s major products is the Pathway Tools software package. The Pathway Tools package is in many ways the next comprehensive step after that initial annotation. It takes your shiny, new annotated genome and converts it into a database representing that organism’s genes, proteins, transporters, and metabolic network. You can read more about this process elsewhere. The concise version is that the software takes the genome’s annotation, then uses that to guess which metabolic pathways, transporters, and protein complexes the organism has…and then uses those pathways it guessed to figure out additional enzymes that are likely to be present in your organism. I like to call that post-pathways second pass “second stage” annotation. 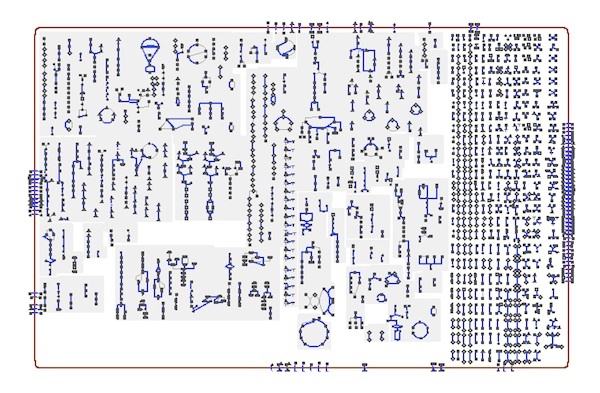 That’s a visualization of the metabolic network of that drug-resistant bug as inferred and predicted by the Pathway Tools software. There are all sorts of handy tricks you can do with this kind of visualization-rich database, but for now, the important part is that this a fully computable database. So, after we’ve done all that work in building a database, we hit another slow, slow step…slower than that post-stumble walk I was just talking about above. That’s the part where we actually do stuff with the organism in the lab. And then we have to troubleshoot over and over again for each new thing we want to do. Maybe we’re trying to get our microbe to crank out a bunch of our favorite small molecule – let’s say pinene, which you may have correctly guessed is responsible for pine scent. What should we grow our pine-scented microbe on? Will it make more pinene on sucrose instead of glucose? Are there some genes we should knock out to help raise our pinene yield? Geez. Sounds like about a million experiments. We can try to cut out some of the massive time and effort involved here using our expert knowledge, but each experiment is a ton of time and effort, even in a really friendly scientific model organism like E. coli. We’d rather not do that. Specifically, the new tool, called “MetaFlux,” uses mixed integer linear programming to make what’s called a “flux balance analysis” model from the database that Pathway Tools built from your genome. Flux balance analysis, traditionally shortened to FBA, is a modeling method that approaches the organism’s metabolism as a steady-state system. You’ll note right up front that a model’s metabolism is never a steady-state system. This is what we call a “simplifying assumption.” Even though it’s kind of vigorously wrong, it does a pretty good job of modeling many metabolic situations. That “figure out where it’s broken” step is very labor intensive. It’s also a good thing, since it catches weird holes in your model. I introduced the idea of metabolic modeling by talking about how we’re going to go from genes to enzymes and then to chemical networks in the body. Sometimes, however, the reactions just happen, like the breakdown of carbamate that gives us ammonia and carbon dioxide. In these cases, we might actually miss the reaction when we’re making our database, if it isn’t already included in a metabolic pathway in our MetaCyc database. That’s actually one reason to have those pathways – to catch those reactions we can’t predict directly from the organism’s genes. If you didn’t have the carbamate breakdown reaction, it would leave a gap in your model metabolic network that would “break” if you tried to model growth that depended on cyanate. Imagine finding gaps and breaks like this over and over again, and you have a good feel for the tediousness of troubleshooting a flux balance model. This is where MetaFlux steps in. Starting with a basic metabolic network model and a set of inputs (stuff you’re feeding that organism) and outputs (stuff it has to make to live), MetaFlux tries to see if it can make a working flux balance model…and if it can’t, it tries adding in the missing reactions until the model works. The basic principle behind what MetaFlux is trying to do is that basically all of our annotated genomes are going to have gaps – that is, areas where our predicted take on the organism’s metabolic network is going to be incomplete. This is just a given – we can’t even figure out any reasonable guess for what up to half the genes in any new genome do, so it would be surprising if we were able to build a perfect, working metabolism on the first try. So, when we first build our metabolic network, it’s gonna have gaps. We want to fill those gaps, so we’re going to plug in reactions derived from our MetaCyc database, which contains over 10,000 distinct metabolic reactions culled from a wide range of organisms. Now, it would be trivial to just chain together a bunch of reactions to patch a hole in our current metabolic model. Of course, that would be a lot like having a map that shows how to get from your home to the grocery store and “fixing” a missing city block form the route by replacing it with a journey back and forth across the entire continent. …if we wanted to make sure that any new reactions didn’t undercut growth, we could assign a high value to growth, effectively making it costly to move away from robust growth. …if we wanted to avoid predicting “plant” reactions for bacteria, we could assign a high cost to adding reactions that are not known to occur in our type of organism. This will mean that MetaFlux will only add these evolutionarily distant reactions if they are critical to making the model work. 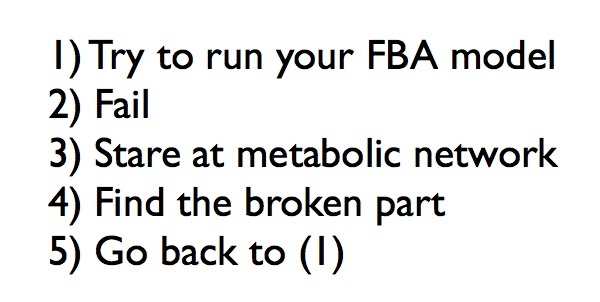 MetaFlux takes all of these costs – that we’ve defined based on our goals – and uses them in calculating a working metabolic network that can yield a flux balance model. The eventual goal – genome, model, go! The end goal of all of this is to have a system where you can plug in an annotated genome, ask Pathway Tools to build a model organism database from it, and then ask MetaFlux to make a working flux balance model from that, so that you can now make predictions and model situations without months and months of scrolling through big spreadsheets of reactions looking for the missing and broken parts. Right now, the chain from genome through to working model is not ready to go right out of the box, but it’s a pretty sweet set of tools if you have someone with a decent bit of technical savvy.